At a recent social media workshop I attended, I heard the presenter make a point that really resonated with me. She had been discussing the need for a potential client to have a social media page. The person was resistant to that suggestion, the reason being that all of their business was word of mouth and, therefore, social media would not be helpful. The presenter’s response was that social media is the new word of mouth. The more I thought about that, the more I realized that she was right. 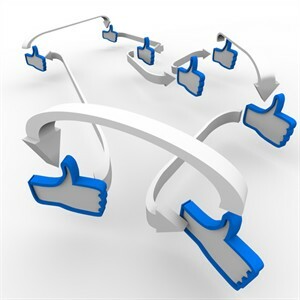 How many of us have Facebook or Twitter accounts and have checked out a business simply because we saw that someone else “liked” or “followed” it? Or seen a post about someone’s new dress, stove, car, etc. and asked where they got it? I have on a regular basis. And I have eventually made purchases from some of those businesses. A “like” is akin to an endorsement from a friend. Social media really is the new word of mouth. No matter whether your customer base comprises consumers or other businesses, social media could likely benefit you.